Pre Wedding Photos - What is Pre wedding Shoot? What is it worth? 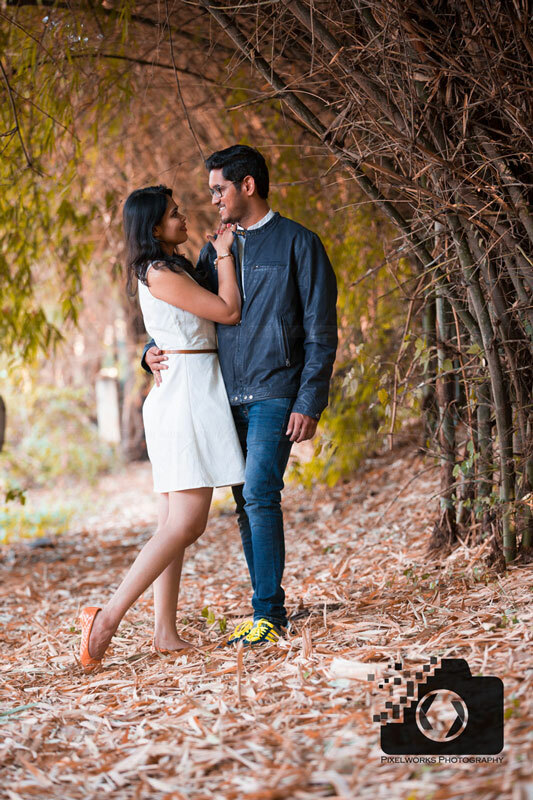 Pre wedding photos- Are they worth it? Pre wedding photos – do we really need them??? You may not realize Pre wedding photos’ worth before the shoot, but you are sure to cherish the moments later in time when these photos will tell you how it all started. They will surely bring a smile on your face as years pass on and you will remember the time spent together. As you see these photos framed on your wall they’ll give you the reason to start a conversation over a cup of coffee. You are sure to be happy each day and come close with each passing day, pre wedding photos strengthen the bond, always !! 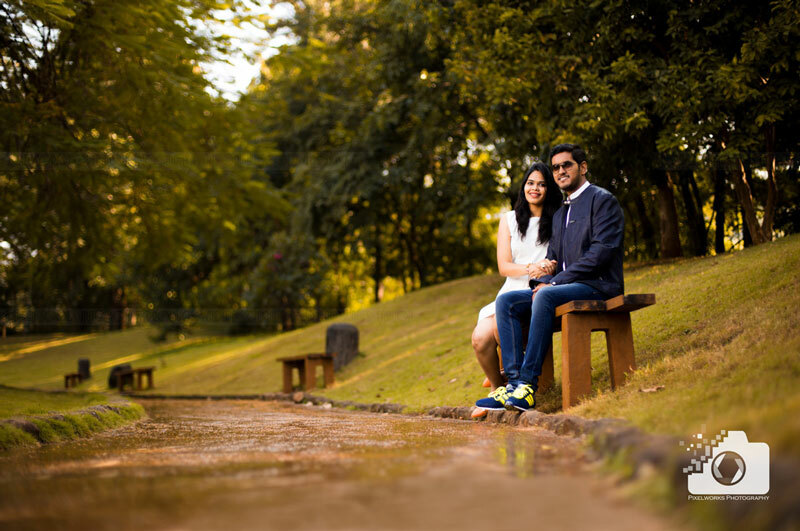 What is Pre wedding Shoot? So, what makes them worth? When the rest of your life is made the best of your life, you know it all started with Pre wedding photos !! Pooja and Piyush thought clear and straight. They simply wanted their pre wedding photos for two reasons, first, to extend the save the date invite to family and friends on social media/what’s app, and secondly they wanted to see reflection of their love in their couple shoot. Pooja used to follow us on instagram and facebook for our recent work and that’s how she chose Pixelworks for her wedding. 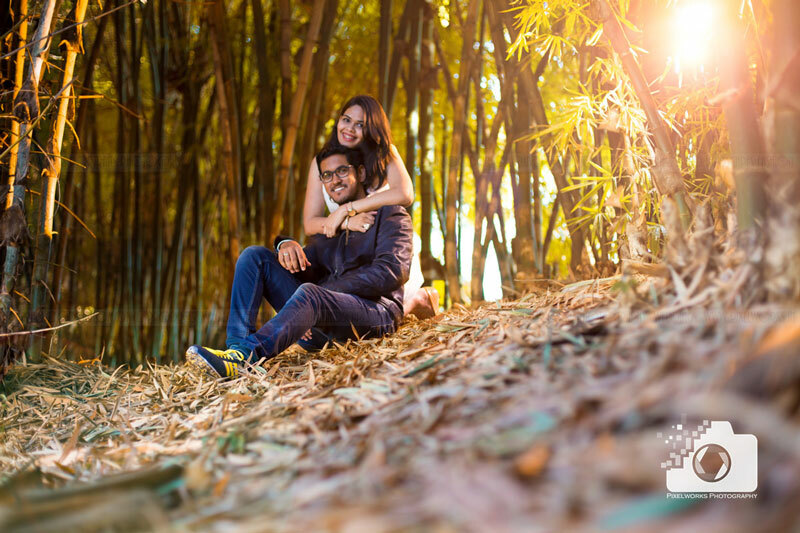 The Pre wedding shoot took place almost a month before their wedding and the ring picture is The Proposal shot that we created for Pooja and Piyush. 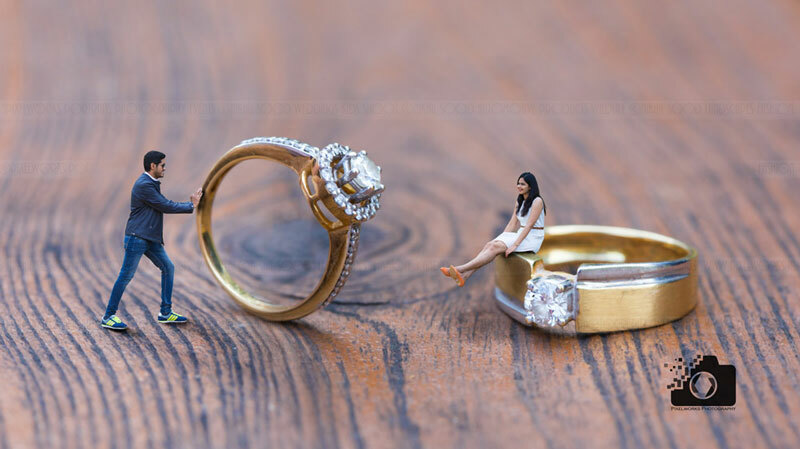 This is unique and something extraordinary, an out-of-the-box proposal shot for the couple, where Pooja is ready waiting for him to propose to her. These are popularly known as Miniature Pre wedding Shoot, and we will be coming out with a tutorial soon for fellow photographers or learners how to do one. 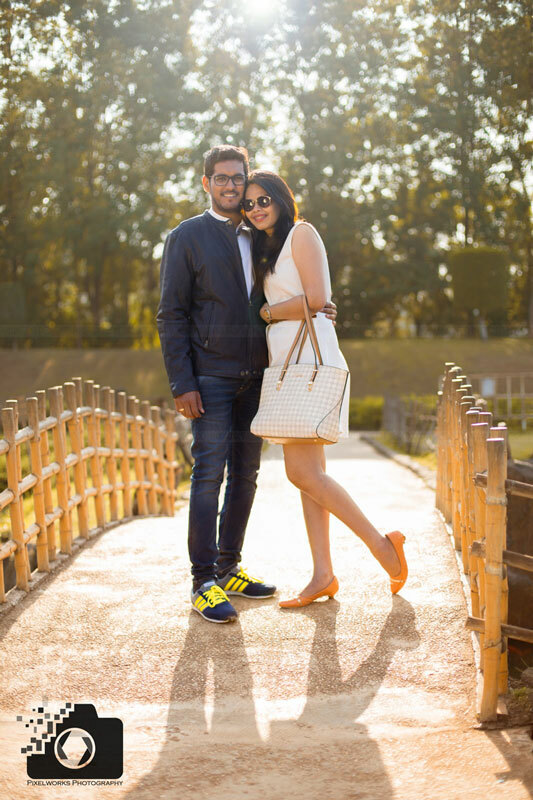 Pooja and Piyush are enthusiastic and happy people we have ever met. We went with a plan for the shoot. Their pre wedding photos show them madly in love with each other. Here they get lost in the moment and enjoy each other’s presence. Their couple photos spoke about their love in thousand words. We decided an outdoor location for them where we could do video and photo shoot both and could capture them sharing warmth as the sun goes down. 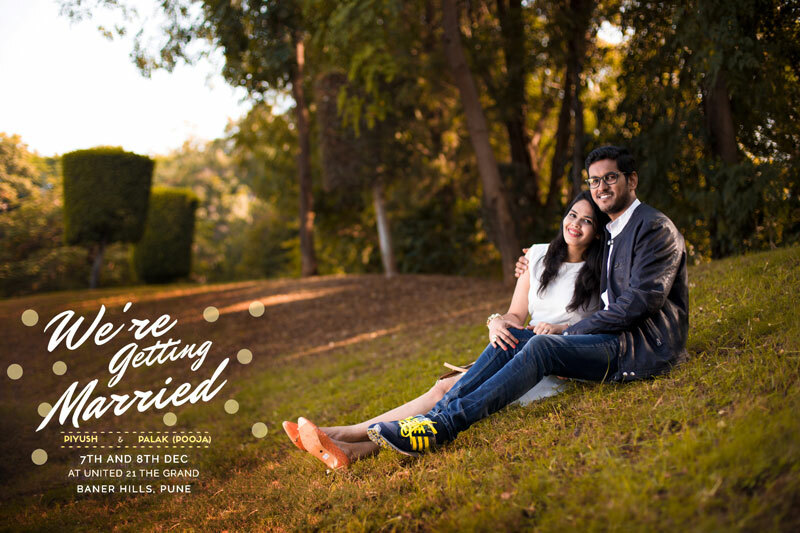 Pooja was more interested in the pre wedding photos where as Piyush was always inclined towards the video invite. The video invite is short and sweet showing their romance. As per Pooja’s preference we got a Save the Date photo ready for them to be used as what’s app invite. They extended invitation to family and friends through video and photo as well. Pre wedding photos not only capture the love or togetherness, a memory to hold in each other’s hearts, a promise of love and spending life together till eternity. If you want your Pre wedding photos as amazing as the miniature shot, contact us at letsconnect@pixelworks.in or make an enquiry. If you have to make a point or give us feedback, then do leave a comment in the section below. Follow simple tips and know pre wedding types and style ready for the couples planning their shoot. Also learn how to be different, classy and cool if you are planning your pre wedding shoot. Couple Glow and Blessings – Haldi at Hyatt !